Purposeless journeys are on the brink of extinction in India! So, when you board a train you have a purpose in mind; and that is to reach your destination at a pre-determined time. And based on that time, you plan your forward actions. 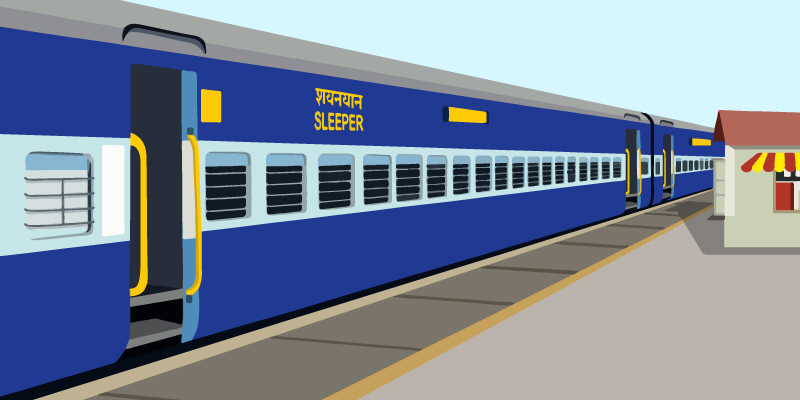 Thus, the train’s time of arrival plays a big role in smooth executions of your travel plans. Given the fact that each day more than 60% of trains in India run with severe delays, arriving at your destination on time is all up to luck! This is why it is not only important to track your train’s live status but also to estimate the time of arrival at your destination station. And that is where we can help you! Rather you can help yourself. For we are just like a caring friend, who shows you the way with our information. Our ETA (Expected Time of Arrival) feature relies on your GPS data to give you proper predictions. So, in reality it is you who is running the show and we are just the medium helping you with our technology. 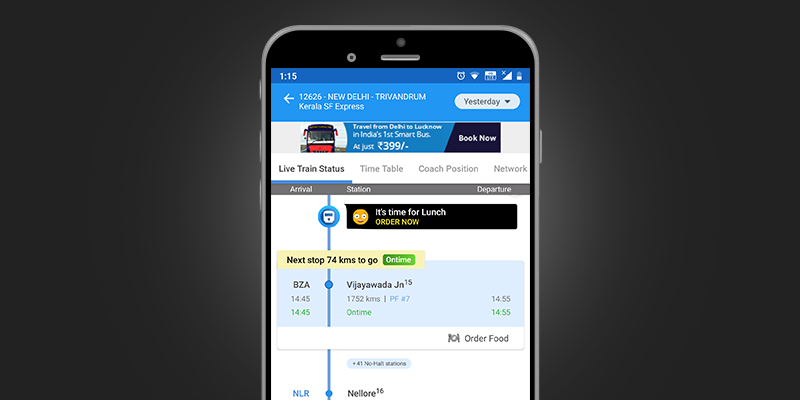 However, the ETA prediction you get through RailYatri app can help you plan your future actions smartly during a journey. 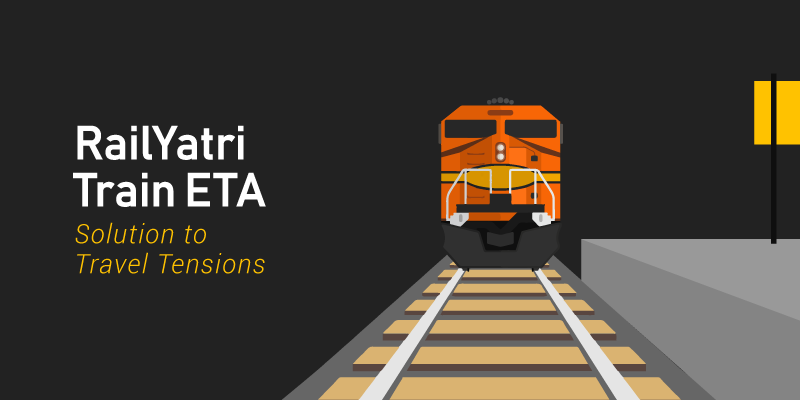 The soul of our ETA feature lies in live train status tracking, and that is exactly where you help us. We track a train status in real-time through your GPS location or your mobile network coverage area. In both these scenarios, we partner with you to assure accuracy in our predictions. And by fetching accurate live train data, we are able to make the ETA prediction. Now, let us take you behind the scenes and tell you about what goes into providing the accurate ETA predictions to you each time. As soon as we get your live train status, we go through your train’s time table to find out the original arrival times at upcoming stoppages. This helps us calculate the existing delay of your train. Now, we could simply use this logic and show you the result. But our experience tells us that: train schedules do not work is such a linear manner. Why? Yes, that is why we run further algorithms before giving you an ETA. We understand that a train which is suffering from a delay could easily make up some lost time if it finds an empty section on the route. In this scenario the train could speed ahead and overcome some of its lost time. But then your train could also enter into a congested section, where it will just add to the delay time. We know the stretches that are vacant and which are crowded. And how do we know that? We at RailYatri have the privilege of analyzing 5 years of train running data. So, we start tallying your train’s present delay with similar runs in the past months. So, if your train is running at 30 minutes’ delay at a given station, we would find another instance when the train was similarly delayed at the same point of journey. By analyzing this, we are able to predict the ETA with utmost confidence and accuracy. Today, RailYatri’s ETA feature is applauded as the most accurate prediction mechanism. It is used by more than 24 million users across India. But it is your data that has helped us attain such feats. So, we would like to take this opportunity in conveying a big THANKS! Previous articleITC boards the RailYatri Express! Next articleFood in Nagpur: RailYatris just love it!